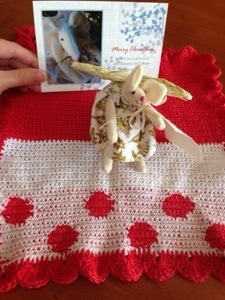 Jodie over at Jellywares.com organised a crochet dish cloth swap and mine arrived last week. 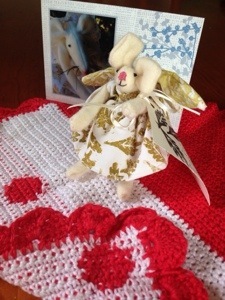 How sweet is this present and mouse angel? 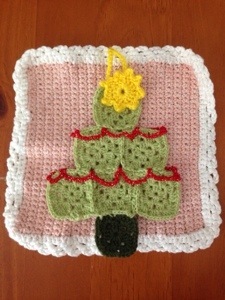 My crochet gift was the granny square Xmas tree but my dish cloth was not as big as this so I popped in a crochet t-towel at the last minute and forgot to add it to the photo.